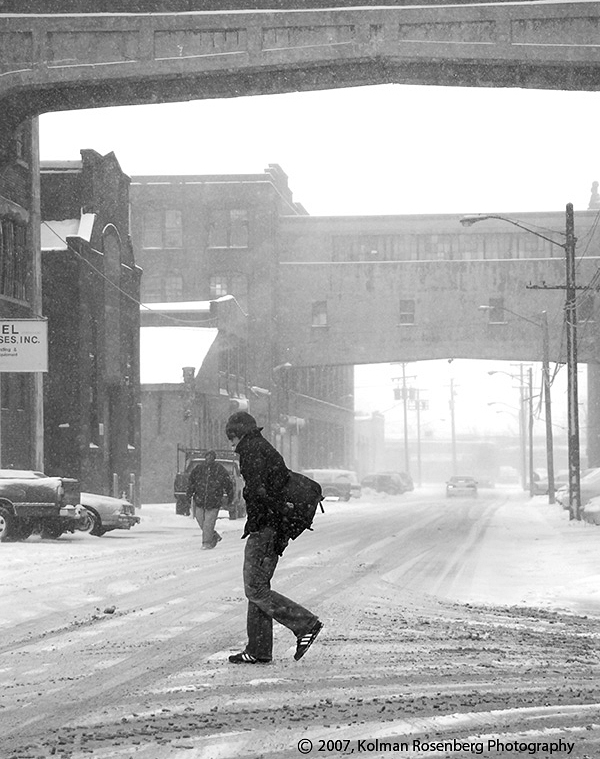 When I entered this photo in an exhibit of Cleveland photos a few years ago, a viewer was overheard to say, “This photo, more than any others, captures the essence of a Cleveland winter.” Believe it or not, this photo is in full color! It’s just that during the winter season in Northeast Ohio, the outside world often turns to shades of black, white and gray. I’m not looking forward to winter but there are indications that it is on its way. It has cooled down considerably and some trees are already turning colors and dropping their leaves. It won’t be long! This entry was posted in Uncategorized and tagged Autumn, city, Cleveland, cold, Fall, gray, industrial, monochrome, Northeast Ohio, ohio, seasons, slush, snow, street, Weather, white, winter. Bookmark the permalink. Love the banner quote from Mr Smith, one of his more comprehensible. I’m sure you are fully aware of his Pittsburgh United Steel pictures taken in 1955 – absolutely fantastic. Hello Andy, thanks for commenting. Yes, Smith is one of my favorite photographers but he was a tortured soul. A tragic life that did some remarkable work! You also do some beautiful work. I looked at your website and blog and, in fact, subscribed to the blog. I look forward to following your posts.